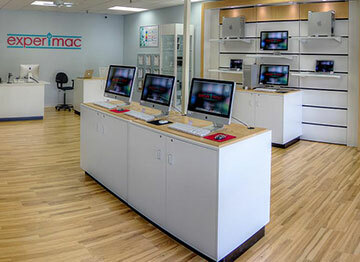 Secure Data Recovery provides top rated data recovery services in Buffalo, NY and the surrounding areas. We specialize in hard drive repair and recovery, RAID array recovery, remote server recovery, cell phone and tablet recovery, and much more. Not only do we specialize in data recovery, Secure Data Recovery also specializes in digital forensics as well. Secure Data Recovery has a solution that will work for your specific situation. Buffalo, NY is home to over 256,000 people, but the city is lacking high quality data recovery and digital forensics companies. Secure Data Recovery now has a convenient office right in Buffalo, NY. Our facilities operate state of the art certified Class 10 ISO 4 Cleanrooms, keeping your devices safe when in our care. We also use the industry’s most advanced technology, allowing us to maximize the amount of data recovered. No other data recovery company can say the same. At Secure Data Recovery, it doesn’t matter what type of device you have, our professional engineers in Buffalo, NY can recover data from essentially any type of device. Regardless of your media type or the cause of data loss, our Buffalo location offers a range of services to quickly recover your files. See some of our featured data recovery services below. Secure Data Recovery also offers Buffalo, NY Digital Forensics Services. Our highly trained engineers have years of experience with computer and cell phone forensics. They also specialize in audio/video forensics, and can serve as expert witnesses. If you are in need of digital forensics services call our customer service team today. They can answer all of your questions and help get your case started right away. For more information on all of the services we offer, contact our local Buffalo, NY office today. When you call, our award winning customer service team will give you additional information about convenient drop off and pickup locations, explain our no recovery, no charge guarantee, and get your risk free case started. Call 1-800-388-1266 today. I woke up one day to a broken hard drive - Todd C. and the rest of the team at Secure helped me every step of the way and gave a fair price for the service. Hope to never go through this again, but very thankful to have SDR helping me out!